I hadn’t planned to include thoughts on Jim Bibby, who died on Tuesday, in this story of a blue jacket, but as the Yiddish saying goes: man plans, god laughs. Jim Bibby is wearing a blue jacket, but it’s not the blue jacket I was planning to tell you about. I was going to start talking about the latter blue jacket yesterday, but I didn’t have any time to write because I had to take my cat Marty to the vet. He’s doing better today, but you never know how these things are going to go. While I sat alone in the vet examination room, Marty out of my sight in a back room getting various shots, I thought about a quote from a Zen guy named Shunryu Suzuki. I’d happened upon Suzuki’s words a few days ago while leafing through a book by another Zen practitioner. I can’t find the quote now, but it went something like this: Renunciation is not giving up all things but realizing that all things go away. I believe he, like my dad, grew up hearing Yiddish in the house, so he probably retained some of the language beyond the various words that could be used to compare an offensive or idiotic person to part or all of a male reproductive organ. He was also, on rare occasions, given over to philosophizing, so it wouldn’t shock me if he ever tried to tell me, during one of the lengthy lulls in the day’s business at the struggling store, that man plans and god laughs. But really, Morty, despite his deserved reputation as an all-day-long yeller, was actually at his core a watcher. He sat at the back of the store and watched what went on. He had seen the rise and fall of things all through his life. When he saw someone riding high, he watched, and when he saw them guttering, he watched. Over the years, I felt him watching, and the watching hit me for what it was: kindness. Once in a while, he broke from merely watching to speak to me. I mean beyond all the yelling and insults, which was of course also a way to speak to me and to let me know he was watching. “May that be the worst thing that happens to you,” he said to me once. It was after a particularly low point in my twenties, and it’s the point I’m planning to get to, eventually, in this story of a blue jacket. It’s a risky thing to say to a person who’s hurting, but coming from Morty to me it worked, lightening the weight on my shoulders just a little, releasing some of the tension on the knot in my gut. The message was twofold: one, things feel bad right now, but at least it’s already happened and behind you, and two, all things considered, things aren’t so bad. They could be much worse. I was in my early twenties. I was untouched. He stood at the pinnacle of the sport in 1979, earning the Game 7 start in the World Series for the Pittsburgh Pirates. He pitched well for four innings before being pulled for a pinch-hitter (and the Pirates’ dominant bullpen) with the Pirates down 1-0. He didn’t get the win in the game that the Pirates came back to win, but he may have deserved it, carrying the heaviest load for the night with his four strong innings. He finished the 1979 postseason with a 2.08 ERA. The following year he made the All-Star team. I’ve written about Bibby before on this site, right near the beginning of my efforts here to hold on to all the things I’ve ever touched and felt and heard and seen. I feel like I failed to get down the happiness embedded in the mere idea of Jim Bibby, but how could I not? You can never say all you want to say. Then, as now, I wanted to simply say that there was something about Jim Bibby. The name, the size, the Afro. He helped anchor some key, ineffable part of childhood. Still does. So here he is again, his Afro bulging from below his Indians’ cap, a smile on his face. Underneath his uniform: a blue jacket. Not the blue jacket I originally planned to talk about, but a blue jacket nonetheless. He looks happy in his blue jacket. It’s the earliest days of spring training, everything still to come. It just dawned on me that someday, probably not too far away, every one of the guys who make up the Cardboard Gods pantheon will be dead. As long as I’ve been around, these guys dying has been untimely, early or in some way, tragic. It’s getting closer to being timely when they go, rather than untimely. Then it’ll be our turn. Yikes! Well, I hope Marty’s waiting a while, anyway. Taking a trusting pet to the vet’s is always a traumatic experience…. Hope your cat’s OK. I read this while my cat Skipper is at the animal hospital having some tests done. Thanks. He seems to be doing better. Good luck to Skipper. During my own tenure at the legendary establishment, I feel certain that I must have heard “Man plans, Petey, God laughs!.” on more than one occasion. Or at least it sure seems that way. Along with a steady stream of Yiddish insults, of course. Whenever something has you down, it may (or may not) cheer you up to think along the lines you describe. Great lead off to the third paragraph by the way. Hit the nail on the head. Besides being the best fourth starter on an astounding pitching staff, he would have had the biggest afro in Flushing by a long shot on those pre-Espinosa/Cardenal rosters. I guess Felix Millan probably had the biggest Metsfro in those years. Is that correct? Pepe Mangual got into 41 games back in ’76, but he didn’t stick around. Bibby could have easily been the FIFTH starter on those 70’s Mets: Seaver, Ryan, Koosman, Matlack, and Bibby. As far as the biggest Metfro during the mid 70’s, there’s not one that stands out but I remember Tom Hall having a fairly decent Afro, Cleon Jones and John Milner didn’t really have long hair for the time period. 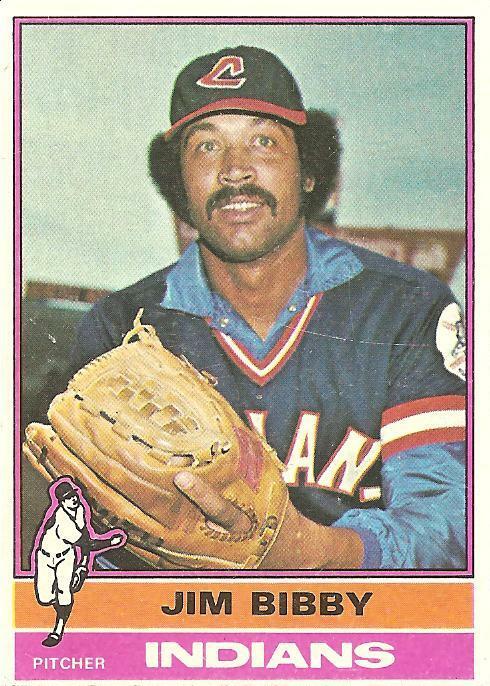 I think Gene Clines had a half-way decent Afro. Cardenal probably had the best in terms of sheer volume but I was always partial to Nino Espinosa. johnq11 – True ‘nuf. I was thinking in terms of Bibby’s ascent to the bigs in the wake of the Ryan trade… they certainly were stocked in those years. Bibby’s minor-league rotation-mates also included Gary Gentry, Buzz Capra, Steve Renko, and Danny Frisella (before he became a reliever). A quick (and NOT thorough, nor definitive by any means) perusal of some old programs from the late ’70’s vouches favorably for the superiority of Sr. Espinosa’s afr-etic gifts. After his departure, the torch at Shea seemed to have be carried most admirably by Cardenal’s world-class ‘do, with honorable mention going to perennial “on-the-way-up” page-r Mario Ramirez. …Frank Tavares seems to have done most of his best work in Pittsburgh. Man, I miss that era. I was just going by the 73-76 Met Teams as far as the biggest MetFro. I was just looking at some of my old Met cards and it does look look like Nino 1979 Topps was the biggest Fro. Nino ’78 was pretty big as well. 1979/1980/1981-Topps Pat Zachery has a pretty crazy White man Fro. Zachery looks all together kind of crazy and out of sorts with beard and basic disheveled look. Bob Apodaca had some really long hair 1977-1981. Jeff Reardon had some long hair on the 1981 Topps. Jim Bibby of course was the brother of Henry Bibby and the uncle of Mike Bibby. It just resonated on so many levels…. As a life-long Indians fan, I remember Jim Bibby. I never met him, but my brother Chris did at Cleveland Indians Fantasy Camp in Winter Haven, Florida. The year would have been somewhere around 2002-2005. He tells the story of being in the hotel bar where players like Bibby, Rick Manning, Joe Charboneau (ROY 80), Max Alvis and Gary Bell would mingle with “campers” late into the night over beers and cocktails. Chris is swapping stories with a group that included Jim Bibby when a small, plastered shriner (complete with the Fred Flinstone shriner’s hat) weaves up to them. The guy points his finger in the much taller former big league pitcher’s face and slurs, “hey, I know you.” He’s standing way to close. Looking down on the top of the little mans goofy hat, Jim replies, “I don’t think so.” “Yes. Yes. I know you. You’re Roberto Clemente.” Annoyed, but calm, Jim says, “Sorry. You’re mistaken.” “No I’m not. You’re Roberto Clemente.” The guy won’t give it up, and Bibby, well lubricated and not amused finally loses all patience. He shoots out his huge right hand and grabs the little guy by the throat like a cobra striking a baby rabbit. With his hand wrapped completely around the shriner’s neck and Chris trapped in between Jim’s substantial mass and the little weasel, Bibby marches the two smaller men across the crowded room until he has the shriner pinned against the wall. The whole way Chris is back-peddling and screaming, “Jim let go! Let go! You’ll kill him!” As I recall, the story ends with the cops showing up. Could have been worse…. might have been the coroner.